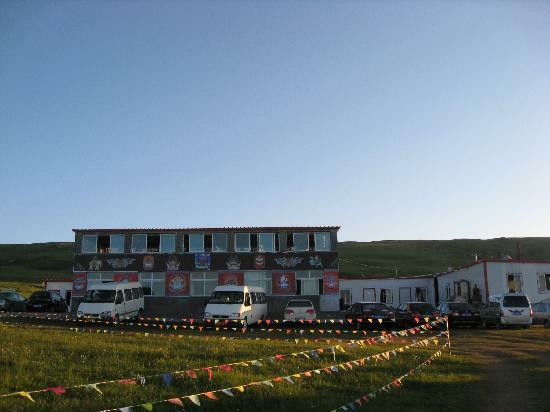 The Sorig Lobling medical school in Chabcha (Ch: Gonghe), eastern Tibet, continues to remain under military lockdown following yesterday’s mass student protests against the Chinese government. Also, three of its students, Wangchen Tsering of Ba County, Mama and an identified student, have been arrested. IChinese armed forces continue to cordon off the school, keeping the students captive within the school premises. Parents and relatives, on the second consecutive day, have been barred from meeting the students. Five students, who were severely injured in police beatings, are said to be in critical condition and have been shifted to a bigger hospital in Tsongon. Around 20 students are still admitted in hospitals in Chabcha. Chinese security personnel have not allowed them visits from their family members. Yesterday, over a thousand students from the Sorig Lobling medical school carried out a massive protest, raising slogans for equality of nationalities, freedom of language, respect for truth, and re-establishment of governance. In a short video clip that has reached exile, students can be seen running on the streets, raising slogans. Chinese armed forces used violent force to break up the demonstration, injuring many young protesters in the process. The protest occurred after local Chinese authorities distributed a ten-point political questionnaire to the students and gave “patriotic education” sessions that contained disparaging remarks against His Holiness the Dalai Lama.